Strike King KVD HC Square Bill 1.5 Silent Crankbait - Fire Tiger. Strike King KVD HC Square Bill 1.5 Silent Crankbait - Fire Tiger. Designed by Kevin VanDam, the crankbait produces erratic thumping, wandering and searching motions that entice shallow bass. Square Bill design generates lively deflections and dives quickly to the desired depth and rattle-free design is silent and won't spook fish. 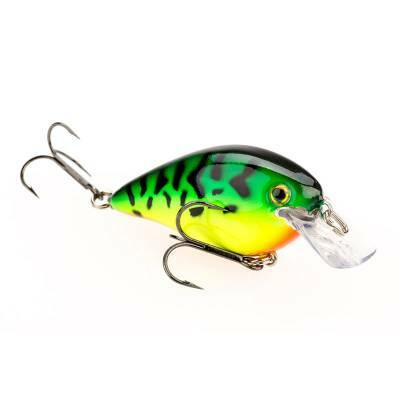 Lure features realistic 3D eyes and a beautiful paint scheme. Assorted colors available.